WHEN: Sunday, November 21, 2010 from 1PM until... Several members will be there early (Noonish). This date and location was organized by Bernie Rosage. 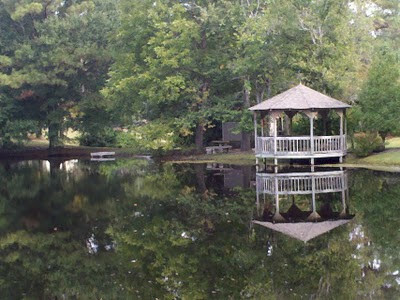 WHERE: Humphrey Pond, Pumpkin Center area, Jacksonville, NC. 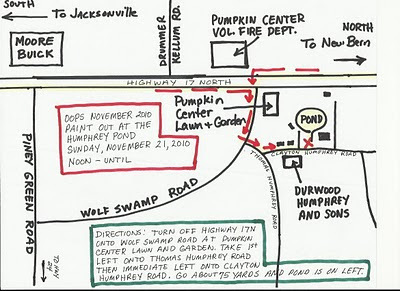 (See Map below for directions) A special thanks to Doris Humphrey for allowing us to paint at her beautiful pond and property. 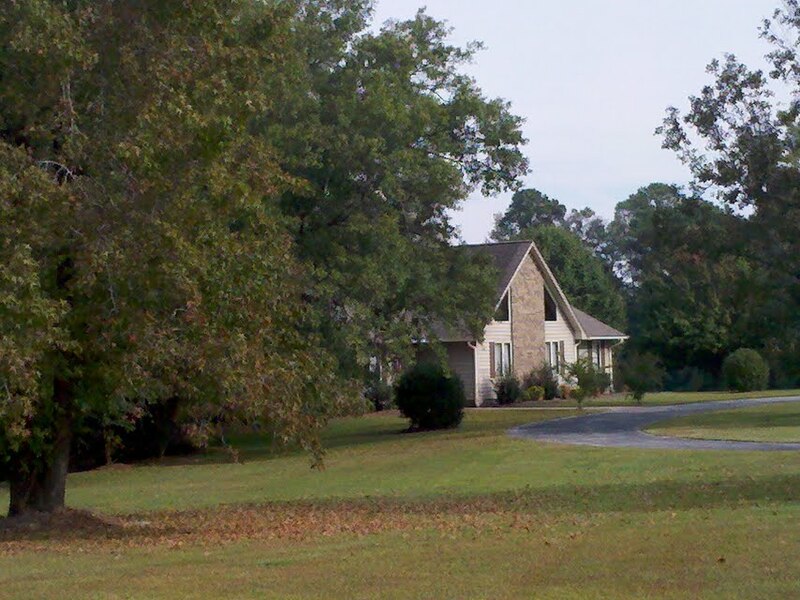 The trees should yield some fall color for us. Humphrey Pond... we should see some color in the leaves by the 21st! Doris Humphrey's home on Clayton Humphrey Road. A special thanks to Doris for allowing us to paint at her beautiful pond and homeplace. Saturday, October 16th, 3-6PM... Octagon House in Cedar Point (where we just had our paint out last Sunday). The staff at the Octagon House has invited everyone to drop by and paint this Saturday for their Senior Day. Directions on our October Paint Out post. Saturday, October 30th, 10am - 5pm. Hammocks Beach Visitor's Center (Google for directions). Civil War Living History event that will make for some interesting subject matter. 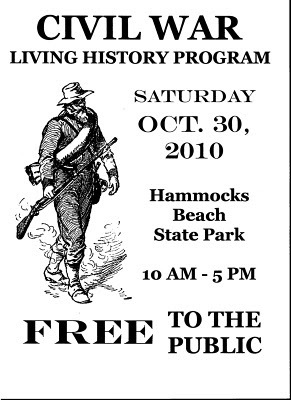 Bernie will be painting as a period plein air painter for the living history event. November OOPS Paint Out date confirmed... MARK your calendar! 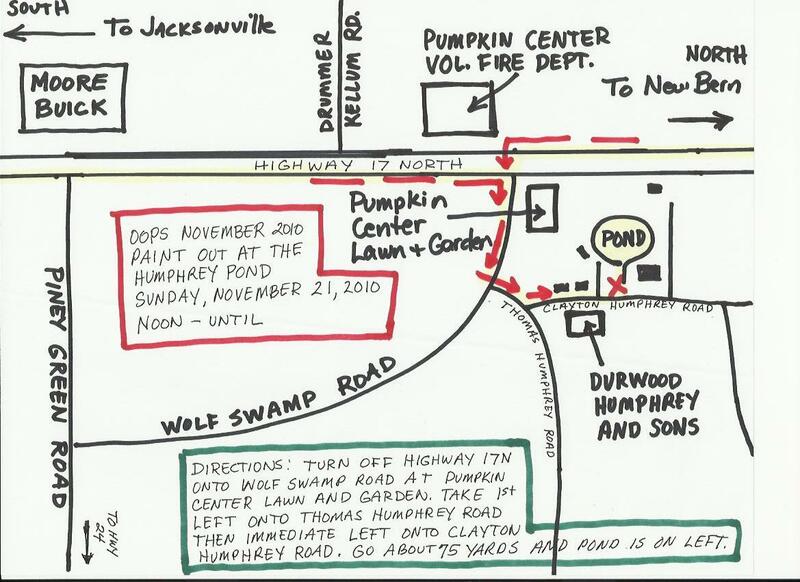 November 21, 2010 ~ OOPS Monthly Paint Out ~ Sunday from NOON until ~ Humphrey Pond and Homeplace, Pumpkn Center Community of Onslow County ~ Great opportunity for some fall color! Directions will be listed on this blog at least two weeks before the paint out. OOPS Members have been BUSY! 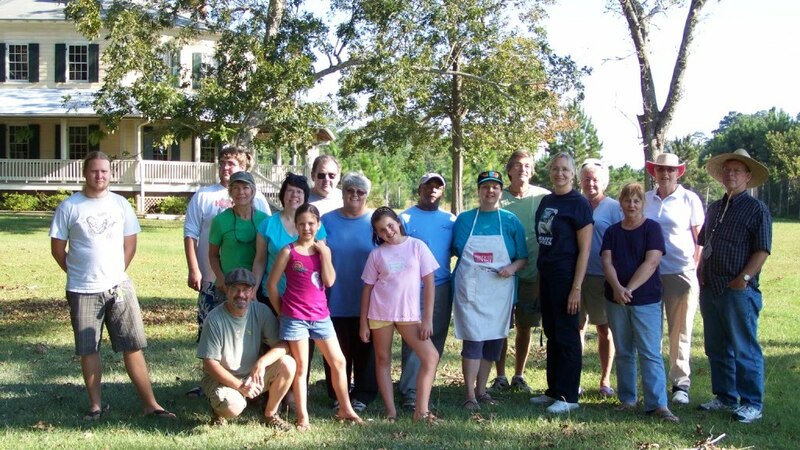 Recent paint out at the Octagon House (GREAT site... Thanks Donna and Earl!) LtoR: ? ?, Kyle (new member), Gail (new member), Donna, Olivia, Earl, Patsy, Kaitlyn (new member), Jon and Bobbie (new members), Mitchell, Karen, Penny, Bonnie, Pat, and Stephen. Opening Reception at Council for the Arts (OOPS 2 Exhibit)... LtoR: Anne, Bonnie, Stephen, Sherry, Patsy, Olivia, Bernie, Penny, Mitchell, Karen, and Dean. Make sure you drop by the Council to see our exhibit on display till October 29th. 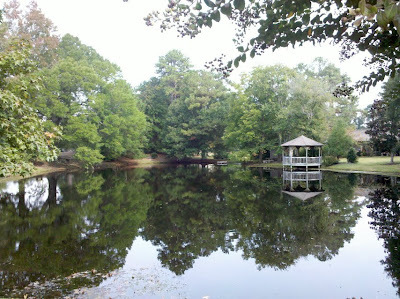 Stephen, Bernie, and Mitchell recently attended a three day plein air workshop at the Florence Thomas Art School in the Blue Ridge mountains with Tony Griffin. LtoR: Stephen, Tony, Bernie, and Mitchell. Sunday ~ Sunny, highs in the low 80's, winds light. 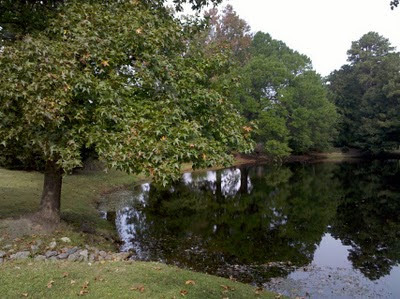 Sounds like a perfect day to plein air paint! See you all Sunday! The Onslow Outdoors Painters Society (OOPS!) is a group of artists from Onslow County, North Carolina whose purpose is to carry on the tradition of painting “En Plein Aire”… a French term literally translated “In Open Air.” Join the artists for their opening exhibit reception on Sunday, October 3, 2010 from 2:30 - 4:00 PM. The following artists will have paintings on exhibit: Bernie Rosage Jr., Mitchell Morton, Stephen Greer, Karen Crenshaw, Dean Remington, Pat Boni, Patsy Lain, Penny Morton, Sherry Thurston, Tom McKenny, Susan Cheatham, Ann Lees, Bonnie Rogers, Donna Tyree, and Olivia Rosage.